Versatile! This crate mattress works double duty. 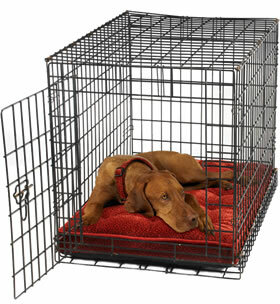 Not only does it gives your crate a fabulous look, but it's also a great low profile bed for the home or travel. A water resistant nylon bottom makes this an excellent portable outdoor bed (but not meant for rain). 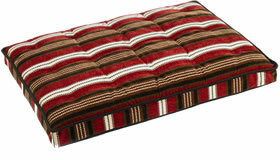 A luxiourious mat with one inch layer of high loft fiber batting covering two inch furniture grade foam.for superior comfort. Cover is removable and washable.